Unisex, industrial, futuristic, Goth cybepunk watch, unusual design. 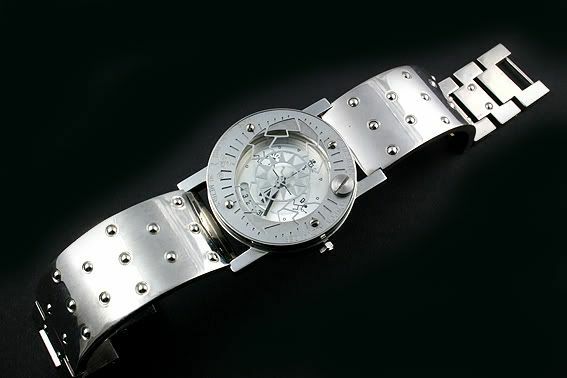 Model name – SLIDING EYE Stainless steel case, stainless steel strap. Has metal lens cover with the shape of a psychotic eye, slides open to show the watch face.